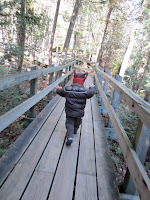 If you are looking for a toddler-friendly place to get some fresh air in Southern Ontario, Crawford Lake Conservation Area is a terrific choice. With 19 kms of trails, picnic sites, a reconstructed 15th century Iroquoian Village and only about a 45 minute drive from Toronto, it's one of my favorite spots on the Niagara Escarpment. 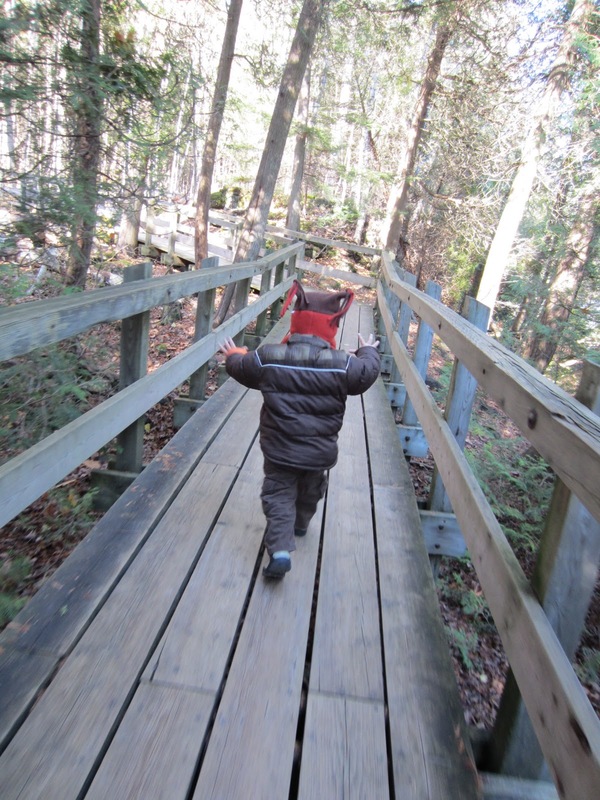 We love the Crawford Lake Trail, a 1.4 km stroller-friendly elevated boardwalk. Our son loves having a long 'bridge' to run along, and we love that it's a manageable length for a toddler - long enough for him to get a good run but not so long we find ourselves carrying him most of the way. The Woodland Trail is a 1.5 km hard-packed trail, also suitable for a sturdy stroller and in winter is a novice snowshoe trail. With a variety of trail lengths and a connection to the Bruce Trail, Crawford Lake has a trail to suit families of all ages and abilities.